I know an Issue when you add a Target device (Display, TV, Beamer) Twice, you end up with two started Recipes. That's why the multi Device input is also only a workaround around the Issue that the Recipe is not fully manual doable. Then Everything is working as expected? These Requires you to only add a Target Device Like TV Again, When you like to Open a App on the TV to show you e.g. Netflix or such things. Source Devices should not required to be added a second time. Also the Same for the AVR as middle, Because the "Automatic Generated" Recipe will allways come for an Target Device which then includes The Use Volume and the Show Controls of Step and regognise this the correct way. You so will end with multiple TV's and multiple Beamers (Each time you need a new Recipe to start a new Action. But you are not required to Add the Dreambox twice because you use Beamer and TV (only if these are located in different Rooms in NEEO Setup). If you like to you can reply with Pictures of the Recipes and maybe we get you a better experience if we figure out together. I try to control a PS4 Pro, Nvidia Shield and a Dreambox with NEEO. Because Bluetooth is still not supported the only way to control the Nvidia Shield and the PS4 Pro directly with NEEO alone is CEC. Status at the moment nothing works. Recipe Dreambox turns Dreambox on, Input is PlayStation 4 (wrong should be Dreambox), TV is turned on. The recipe is shown as active if I try to stop the recipe Tv turns off, AVR turns off, Dreambox turns off but sometimes it stays on. 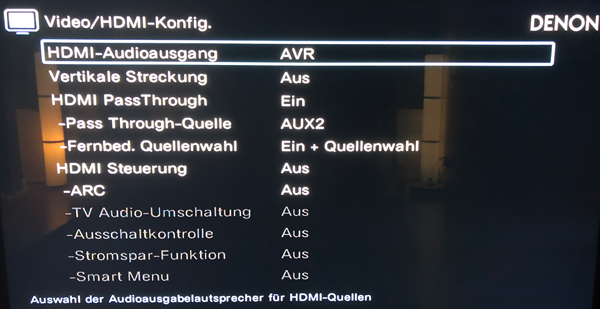 Recipe Shield TV turns on Dreambox (wrong), TV is turned on, AVR is turned on and input is switched to shield. No picture from the shield. I can get only a picture from the shield if I use the original remote then the picture shows up and the shield is turned on. The recipe is not shown as active so there is no possibility to turn off the recipe with NEEO again. If I test the shutdown sequence of the recipe in the app TV turns off. AVR turns off. Dreambox is on. Recipe PlayStation 4 turns on AVR, Playstion is tuned on, Input is Playstion, TV is turned on. But no picture because the PlayStation is immediately turned off again. If I use the original PS4 controller I get a picture and the PS4 stays on. NEEO recipe is not shown as active so no possibility to turn off the PlayStation 4 via NEEO. If I test the shutdown sequence of the recipe in the app, PS4 is turned off, TV is turned off, AVR stays on. I had, like, the same problem you have. 1. 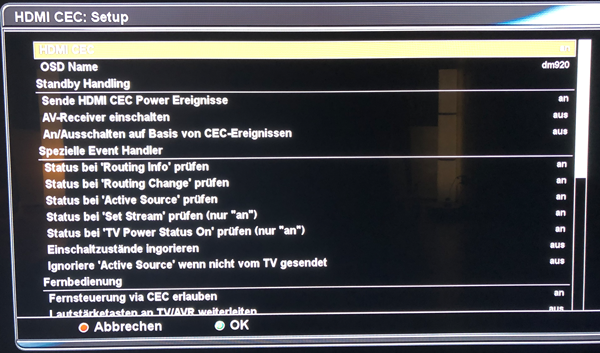 PS4 connected directly to the TV so that the CEC control only fetches the PS4. 2. switched the power on commands. first I switch on the receiver, then wait 10s. and only then I switched off further commands for the other devices. also there, first select the channel on the receiver, then switch on the other devices, then CEC has time to do its "crap". In my case, this is not an option because the picture gets to the TV or a beamer. Both are connected to the AVR. Also because of the sound, it is necessary that the devices are connected to the AVR because I don't want any setup with eARC. Yes, that's a fact. If I use only devices controlled via IR recipes are working. The problem occurs when NEEO does his device smartener, whatever the advantage of this method is since the device has discrete IR commands. Also, the problem definitely depends on NEEO trying to control several devices via CEC. As long as only one device is used, such as a PS4 everything is working fine. I'll try that, but I'm reluctant to use such a workaround. Basically, devices can be switched on very quickly with other systems, and by comparison, starting devices via NEEO is already very slow anyway, which is even slower with the added pause. What completely irritates me is that the behavior of a recipe tested in the app is completely different compared to the start from the NEEO remote. what i have done so far is connected the PS4 over a toslink to the receiver. i understand your case. but for me it was also the better way because off the input lags. when you are useing the HDMI passthrough you will have about 30ms more delay form PS4 to picture.. thats not a problem to watch a movie or something, but i had problems to play COD.. it's a way better when it's connected directly..
isn't it possible to overloop the device smartener? i mean that you can control your settop box over IR? sorry for this question but i don't have any "stupid device" in my system. i undestand what you mean about the quick start of the devices. but the receiver itself is a device which needs some time. it will start directly, but until everything is on it normaly takes about 5 seconds. i have the Marantz SR7010, i think they are handeld the same way, because DENON-Marantz is one company since a couple of years..
nuro when you are useing the HDMI passthrough you will have about 30ms more delay form PS4 to picture.. I have added a second PS4 3 (IR) as a Dummy device and using forward action to send the command to a Harmony Hub and control via Bluetooth. Then it works the device can be controlled, the input is correct and also the NEEO recipe stays active and can be turned off again. So this has definitely something to do with the way NEEO is using CEC. Also if I add a shortcut for Power On in the Shield recipe and tap on the button the only thing that happens is the Dreambox is switched on and instantly off again but no reaction of the shield. So the commands are bound to the wrong device and NEEO sends a wake-up to the sat receiver instead of the shield. Perhaps it is better to use an additional gateway at the moment instead of having all the trouble with the CEC remote control of the NEEO. On the other hand, it was not the aim to use additionally a Logitech hub, in that case, it would be good if I could get things to run with NEEO alone. isn't it possible to overloop the device smartener? Yes, that was also an idea I had but I haven't found any way to turn this off. Neeo means to do better than the user but then fails himself during the setup of the devices. i mean that you can control your settop box over IR? yes, that would be the solution, but NEEO wants to optimize something independently. If I could control the device only via IR I probably would not have a problem either. I do not own any "stupid" devices either, all devices are controlled by other systems via the network or Bluetooth and also return the status via the network. Only Neeo says the devices are "stupid" the only device that is "stupid" is NEEO, since at the moment it is not able to control the devices properly over the network alone as other systems do. it will start directly, but until everything is on it normaly takes about 5 seconds. Yes but there is a difference between 5 seconds and the time NEEO needs at the moment to start up all devices, this takes sometimes more than 15 seconds in my case at the moment. Yes, Denon and Marantz are controlled exactly the same way via Denon Control Protocol via Port 23, this makes no difference. The only differences are the commands that are available depending on the model. 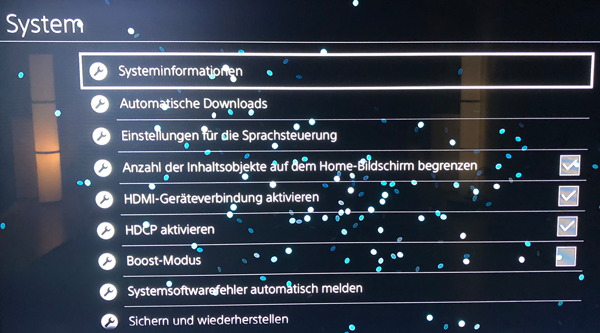 Another problem is I have not all commands under shortcuts available from the PS4, these are probably available but just not selectable in the shortcuts page, like R1, R2, R3 etc. i would devinitly try to switch on the "middleware" -> AVR first, let this thing boot, then switch on the TV and the used input device. When it comes to enigma2 and cec usage the issue is, that the plugin is freely coded. i'm not sure, how this is done, but when it is bad, and due to the many different boxes the plugin can be run, it can use a "fake manufacturer / hardware id" this can be, why you have issues with the dreambox and the shield, because both can use the same "ID" as both are software enabled cec and not chips that are running. as far as i understand is, that when you only try to use one of the devices via cec then everything is working? if i'm right it has something to do with the cec handler at neeo (and the implementation of the shield and dreambox). I don't know if i allready ask you, but isn't there an option to use the Enigma2 SDK Plugin? You allready stated that you use Brain Forward so there should be a server or so running in your environment. If you switch the control of the Dream to the SDK it would even be faster then the CEC is and maybe also kill the issue. I know, that your Dreambox model is supported via IR as well, but when used, there is no way to say if the box is on or off for neeo, as dreambox stopped using discrete codes for power on and off and only using a Power toggle. Thats one reason i coded the SDK driver. Please post if changing the order of the Power On devices help in any way or not, as far as i understand the CeC protocoll it can make a difference when which device is powered on and off as all devices are using the same commands only other ID's. Next step then i would try to restart the CEC one device by One so that the CEC Network is newly build and new IDs are taken, this can mean, that you need to readd the devices, or this is happen after a reboot of the brain, don't know how NEEO handles this currently.